Got an idea for content? Post in The Lounge (the community) and we'll see what we can do! 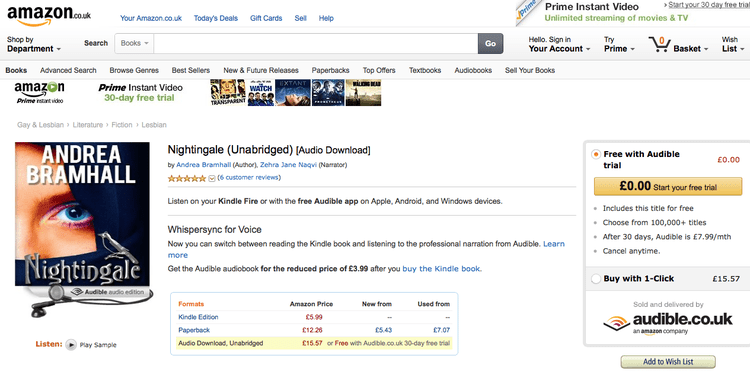 As an actress, I had always wanted to break into the Voice-over Industry for many years but was a bit daunted by the prospect of “how to get started”. It seemed to me like such a closed industry. Finally, after much procrastination, I decided to get pro-active. I attended a few Voice-Over sessions at the Actors Centre in London and asked my acting agent to recommend where I could produce a good quality commercial and drama voice reel. They recommended Guy Michaels. Guy was fantastic. Not only did he produce a superb voice reel for me, he spent time imparting his considerable knowledge and experience of the industry offering me valuable advice and tips. Suffice to say, I came out of this session feeling highly motivated and inspired! The first thing I did was NOT to write to Voice-over Agencies. As an actress, I had some experience working in radio plays and had done a few corporate voice-overs but beyond these, my Voice-over CV was pretty bare and given the number of experienced Voice-over artists out there, I didn’t think I would get a look in. Instead, on Guy’s advice I bought myself a computer and set up my own home studio. I am fortunate in that my husband is a professional singer with his own professional recording equipment so I didn’t need to buy all the necessary equipment. I just needed to learn how to use it! I started off in a small way, registered with www.voices.com and just started auditioning! In the beginning, I auditioned for EVERYTHING. This was a terrific training ground for me as I was learning on the go, becoming more technically proficient with each audition and also learning where my voice sits within the industry. It took approximately 40 auditions before I landed my first job! Since then, I have been building up my own business steadily and working consistently. In the last 8 months, I have been lucky enough to work in almost every genre of the Voice-over Industry – from corporate to commercial jobs, video games and mobile apps and I have just finished narrating my first major audio-book. It’s been less than a year since I started my business but it has changed my life. I feel like I have found the career that has been awaiting me for so long and it can only grow from here. If you have your own home studio, like me – you are your own boss. True, it is great because you can manage your own hours but if you want this to be your main income, be prepared to work HARD. 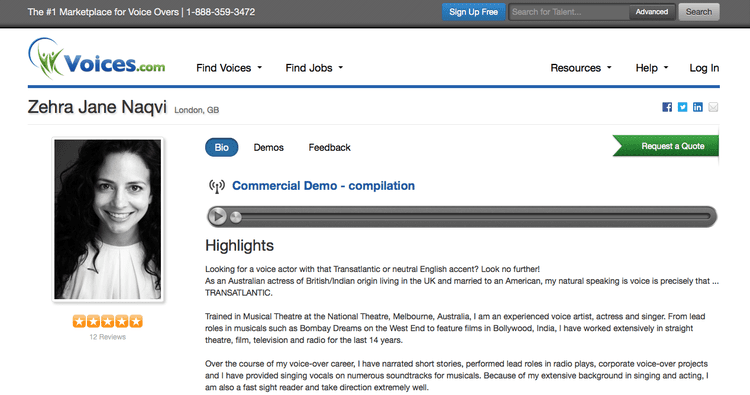 Invest in as many reputable Voice-over sites as you can, look carefully at the auditions that fit your voice type and then audition like crazy!